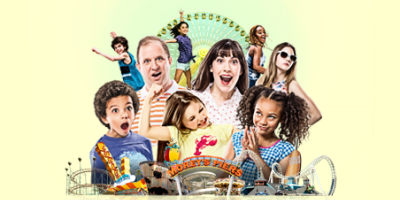 Morey's Piers, the region's leading Family Recreation destination, is seeking an experienced Attractions Controls Technician to join our Attractions Maintenance Team. This fast paced environment provides individuals the opportunity to assist with ensuring the safe reliable operation of rides and mechanical equipment through troubleshooting and preventative maintenance of all attractions systems. Full time benefited positions available, both 12-month and 8-month options. Positions offer competitive hourly pay rate and comprehensive benefits package. Additional non-benefited flexible work options (part time; 2nd jobs; internships) may be available. Clear understanding of industrial maintenance and safety. Moderate experience with computers (CMMS experience a plus). Experience with control feedback systems, electric motors and PLCs preferred. Two year technical degree or equivalent experience in industrial maintenance or the military required. Able to balance multiple priorities. Perform physical activities that require moving one's whole body in varying weather. Able to communicate and follow directions both written and verbally in English. Must be able to walk or stand for up to 8 hours; some lifting required. Must be able to communicate and follow directions both written and verbally in English. Pre-employment drug testing and background check required. Morey’s Piers, the region’s leading Family Recreation destination, is seeking experienced Industrial Mechanics to join our Attractions Maintenance Team. This fast paced environment provides individuals the opportunity to assist with ensuring the safe reliable operation of rides and mechanical equipment through troubleshooting and preventative maintenance of all attraction systems. Mechanically or Electrically inclined and likes working with machinery. Experience with pneumatic and hydraulic systems preferred. An understanding of industrial maintenance and safety (a plus). Ability to read and interpret blueprints and schematics (a plus). Perform physical activities that require moving one’s whole body in varying weather. Morey’s Piers is seeking a highly motivated, experienced Carpenter to join our Facilities Maintenance Team. Individuals will be responsible for carpentry work on buildings, rides, water parks, and facility grounds. Positions offer a competitive hourly pay rate & comprehensive benefits package. Candidates should possess the following: minimum 5 years’ experience is required; skilled in finish & rough carpentry; able to work in a high intensity environment; able to work independently & in a team environment; must be able to work a flexible schedule, including holidays & weekends; detail oriented & able to multi-task; computer literate; strong knowledge of power tools; own set of basic carpentry tools; have a valid driver’s license; perform physical activities that require to move one’s whole body in varying weather conditions; able to climb ladders, stairs, & catwalks to work at heights over 150 ft.; able to push, pull or lift up to 50 lbs. ; stand/walk up to 8 hrs. at a time; heavy equipment experience a plus; ability to communicate & follow directions both written & verbally in English; high school diploma or equivalent required. Pre-employment drug & background screenings are part of the hiring process. If interested, please submit your cover letter and resume to: jobs@moreyspiers.com.